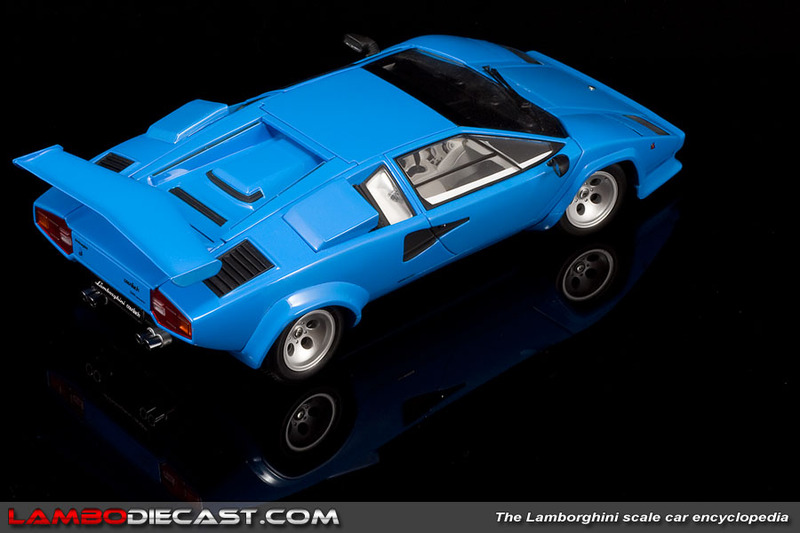 We all know Kyosho as one of the better model car builders out there, their prices are elevated, but the quality surely matches their high cost. 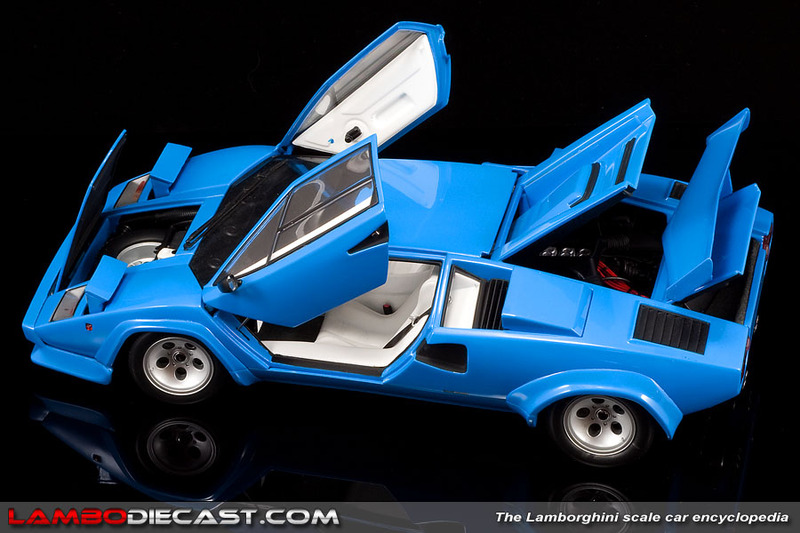 This Quattrovalvole model is no exception, the interior and engine are very nicely detailed, and even the pop up headlights function like on the real car. 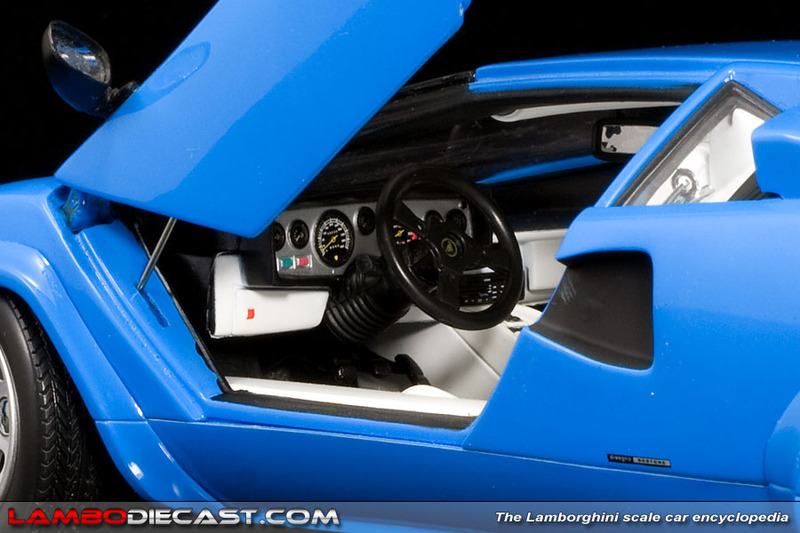 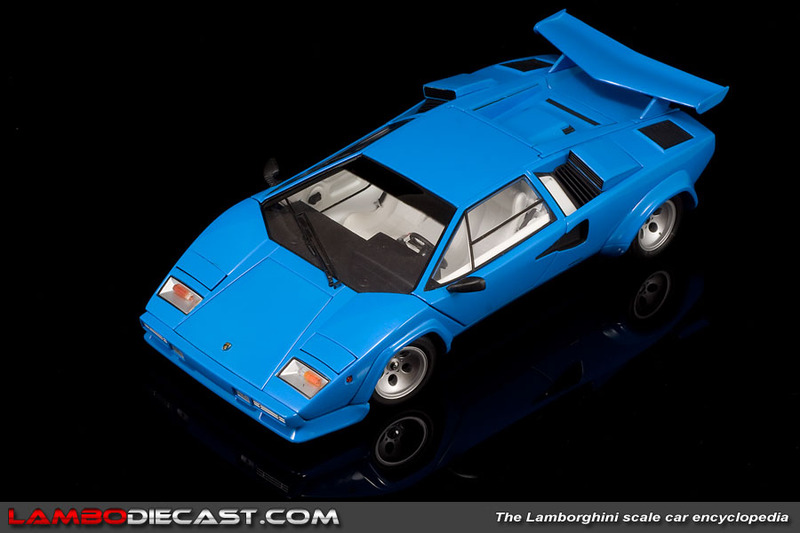 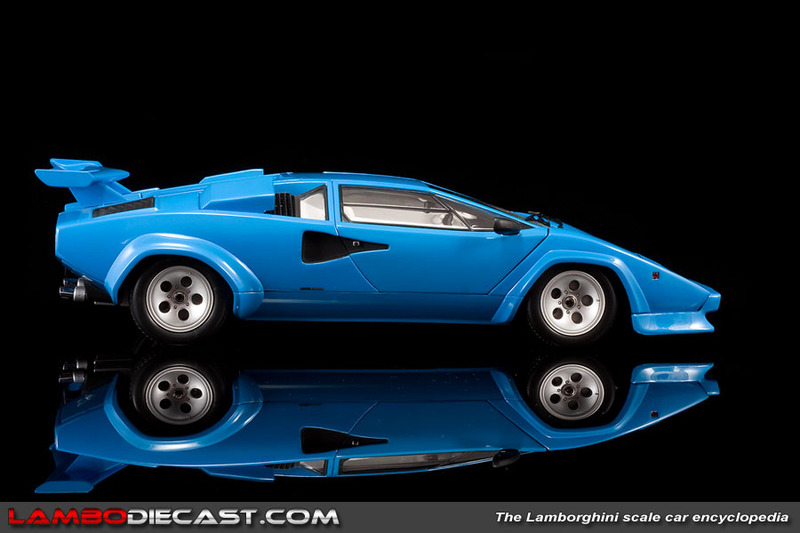 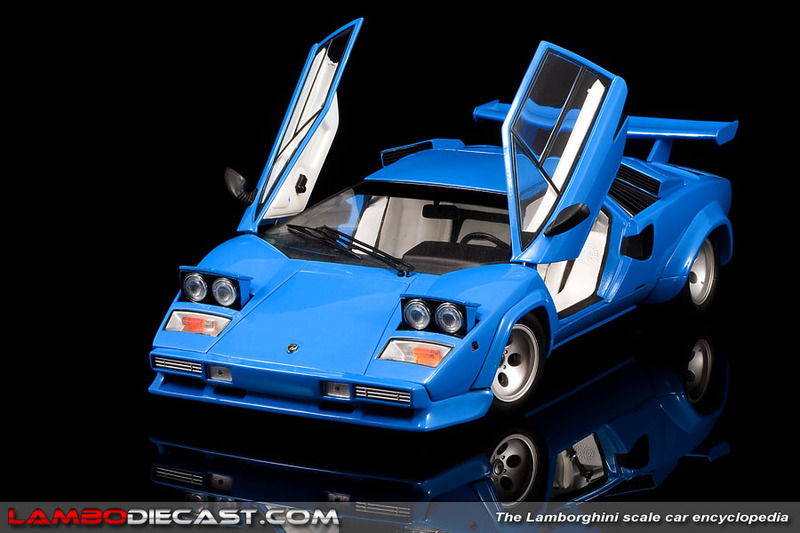 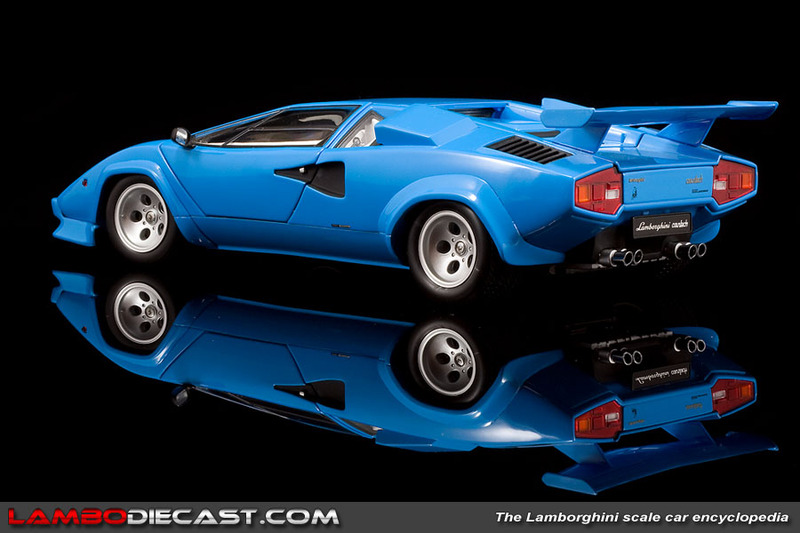 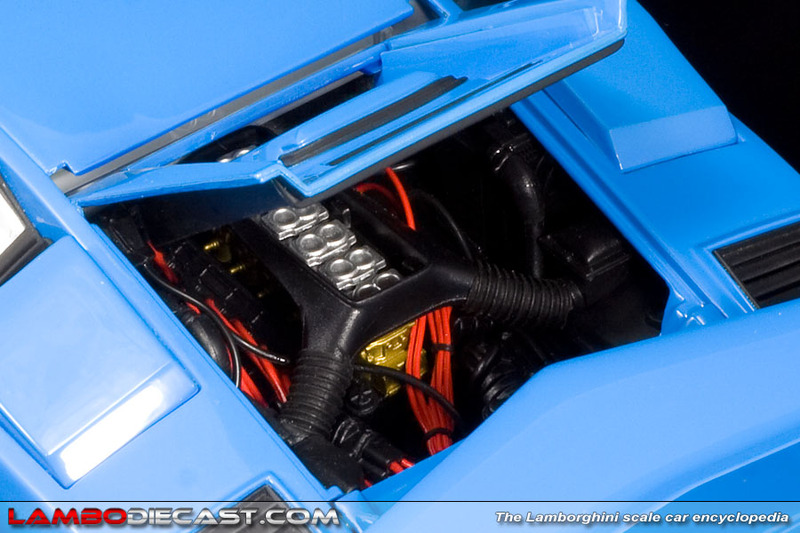 This Countach model is surely worth adding to your collection of Lamborghini scale cars. 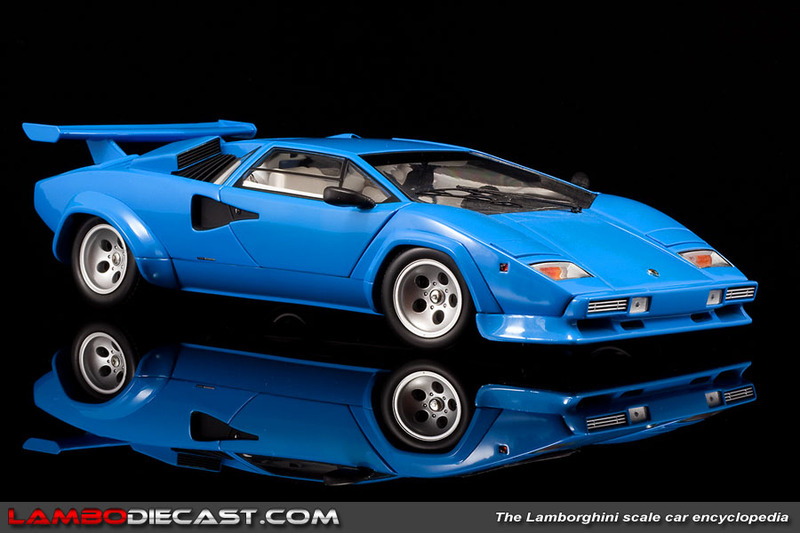 This baby blue (also referred to as Smurfs blue sometimes) over a white interior was Kyosho reference 08327BL, it quickly sold out back in 2007. 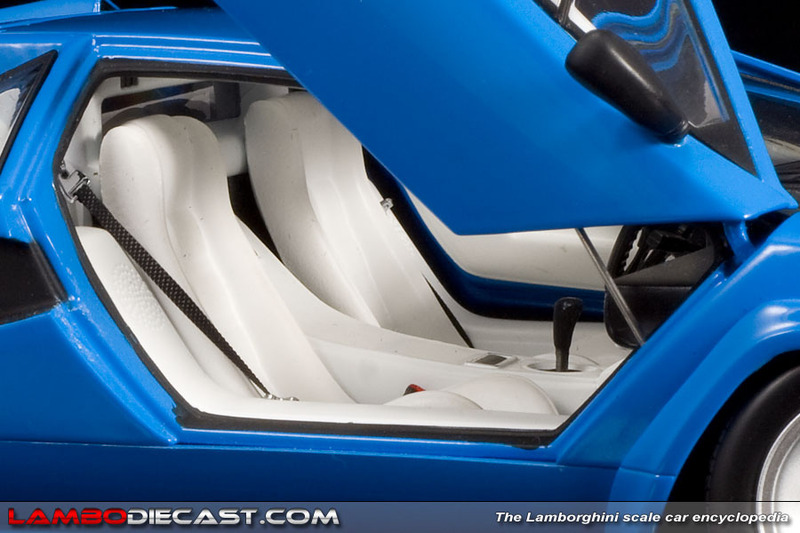 Do note that Kyosho also offers this model in white over a black interior, again a very nice color combination.